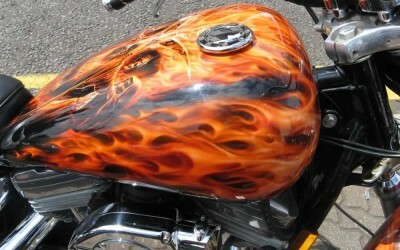 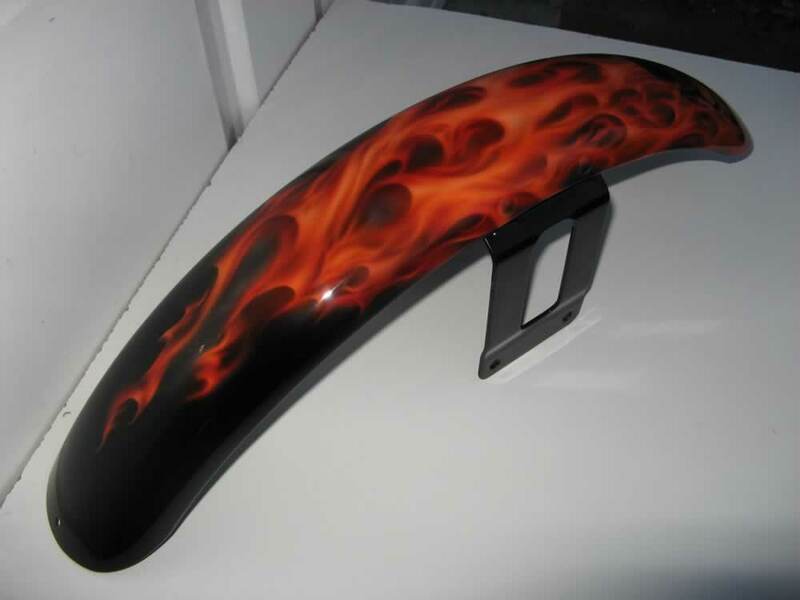 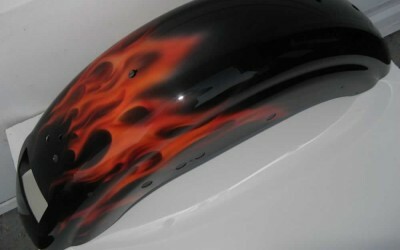 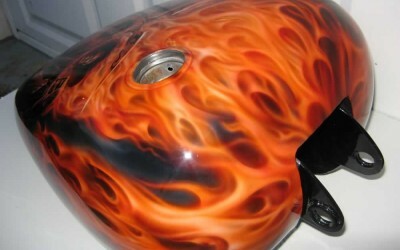 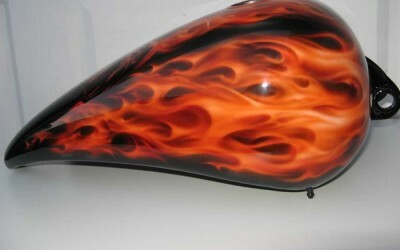 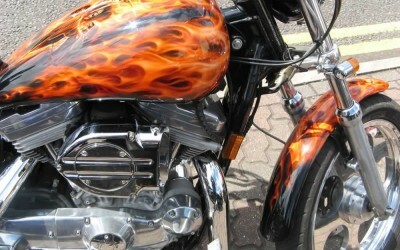 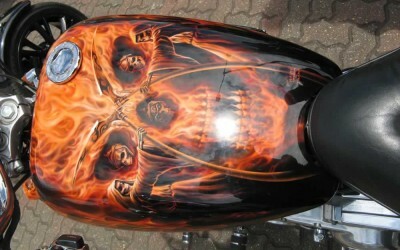 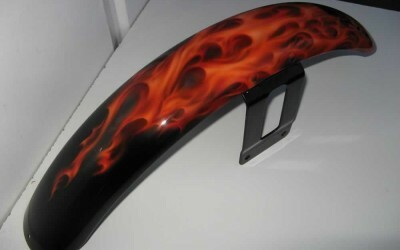 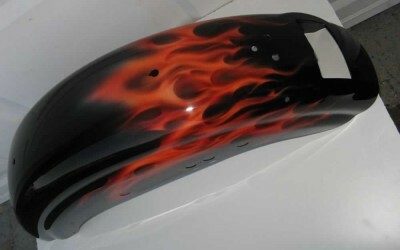 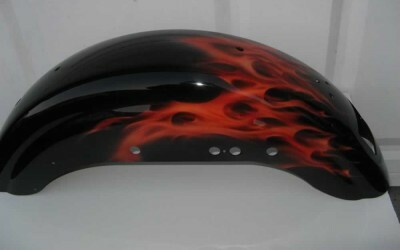 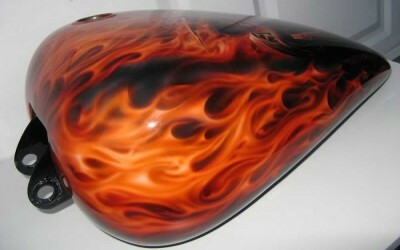 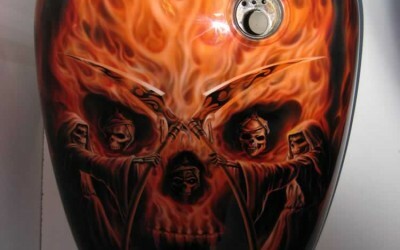 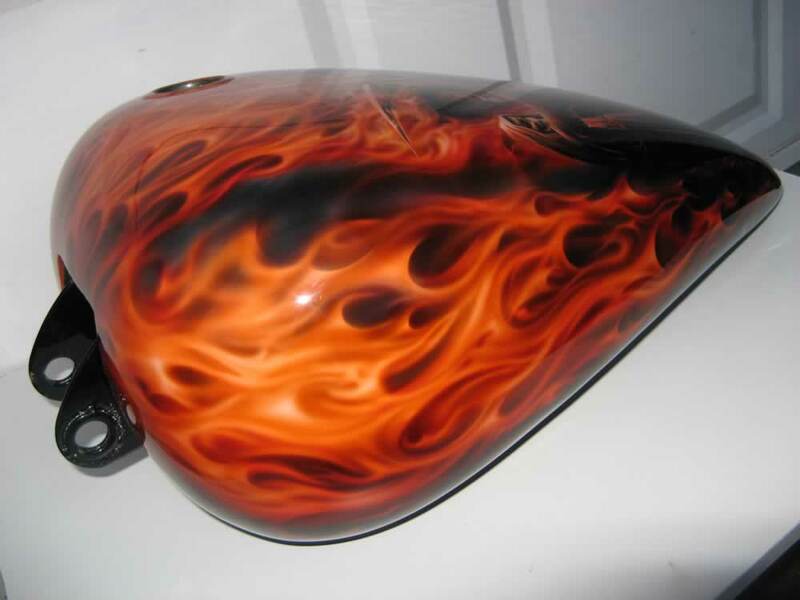 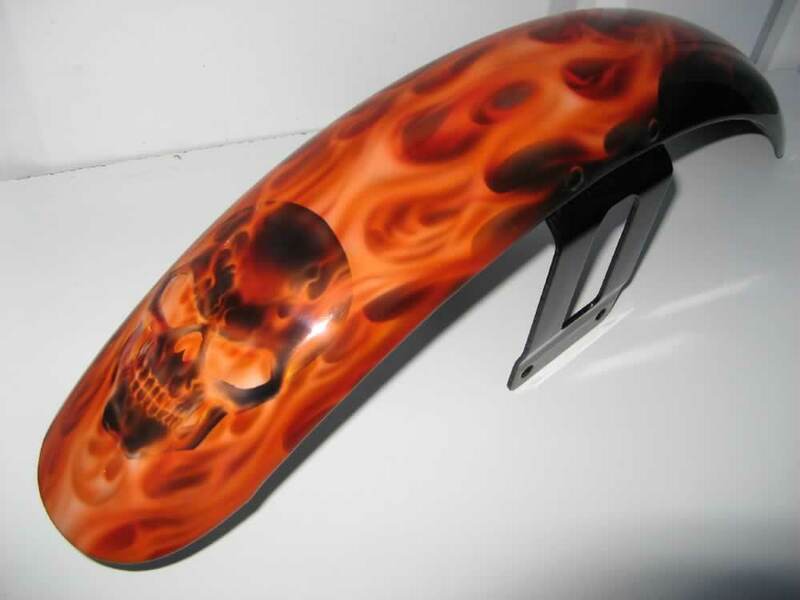 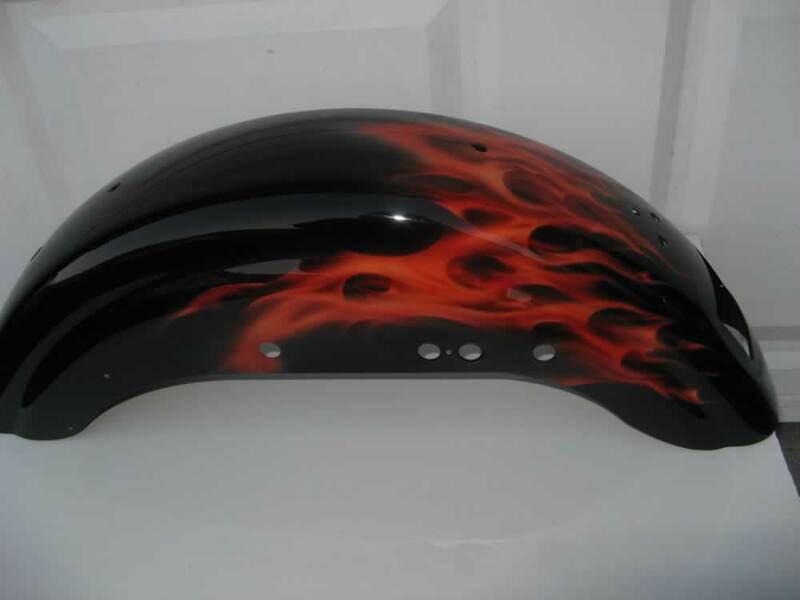 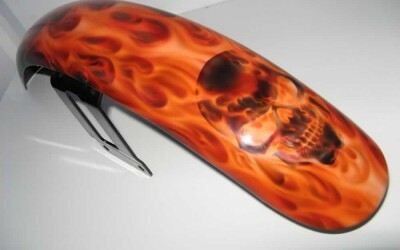 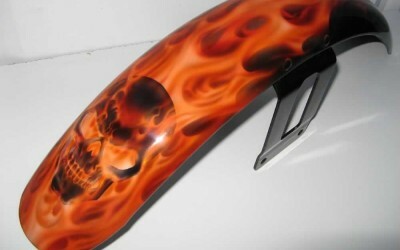 Ahh, you can’t go wrong with skulls, flames and Grim Reapers, can you? 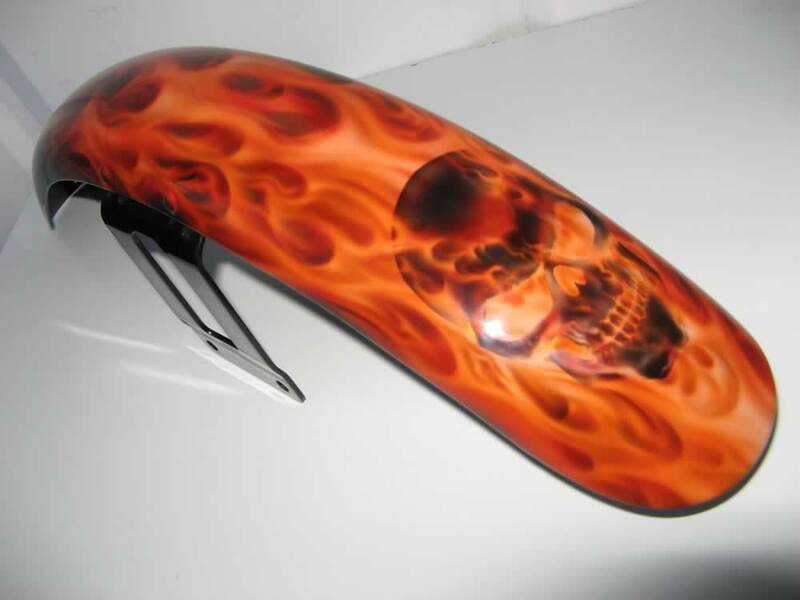 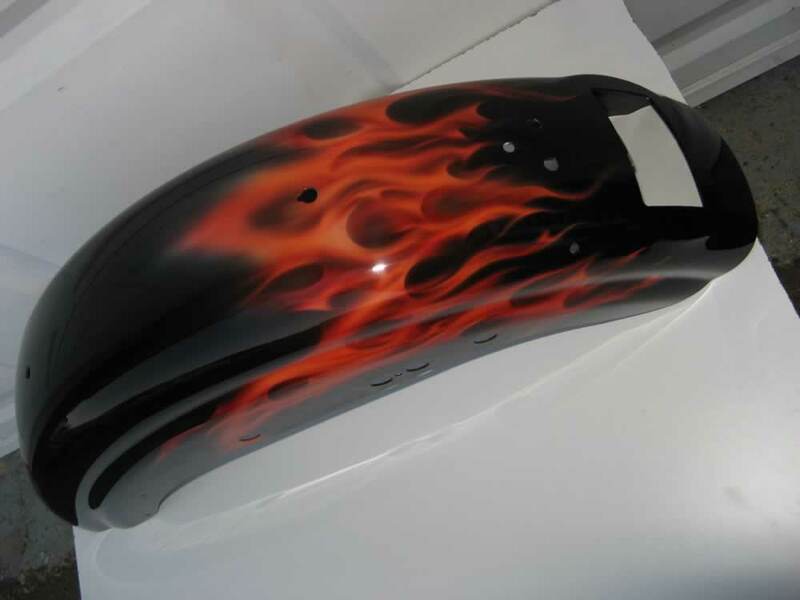 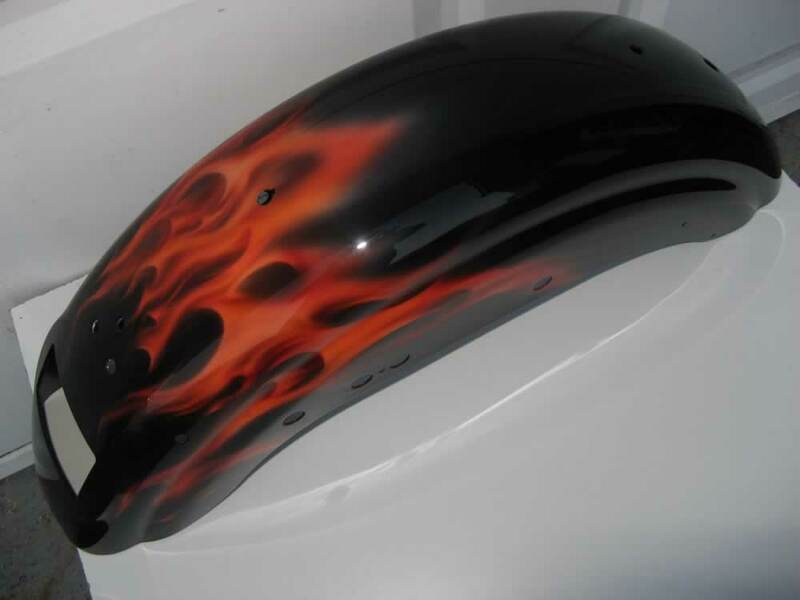 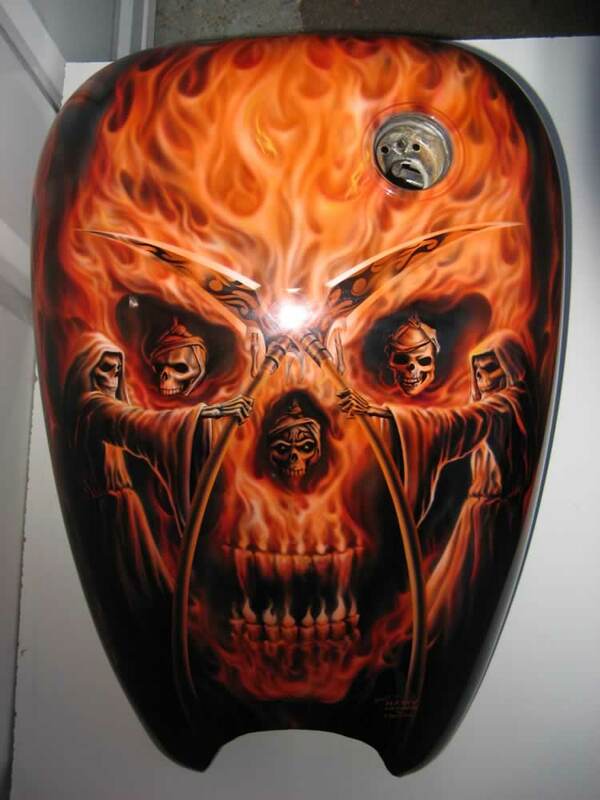 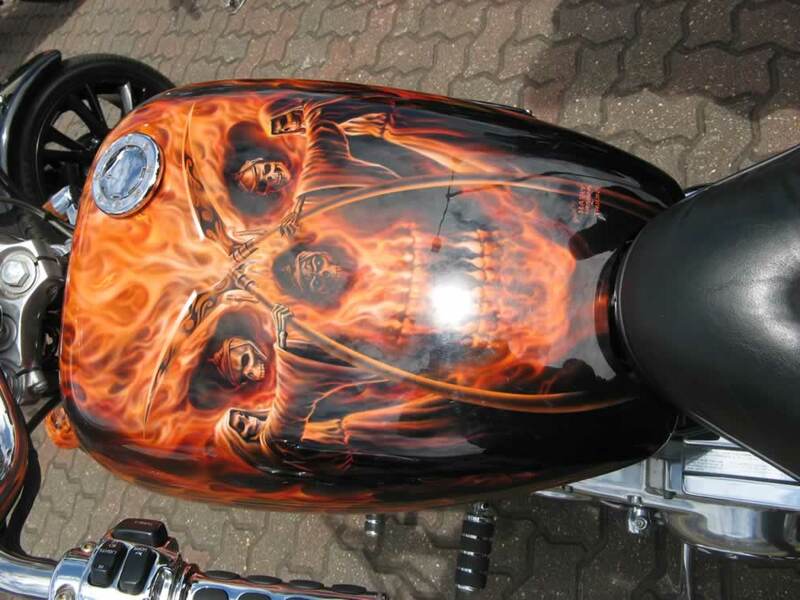 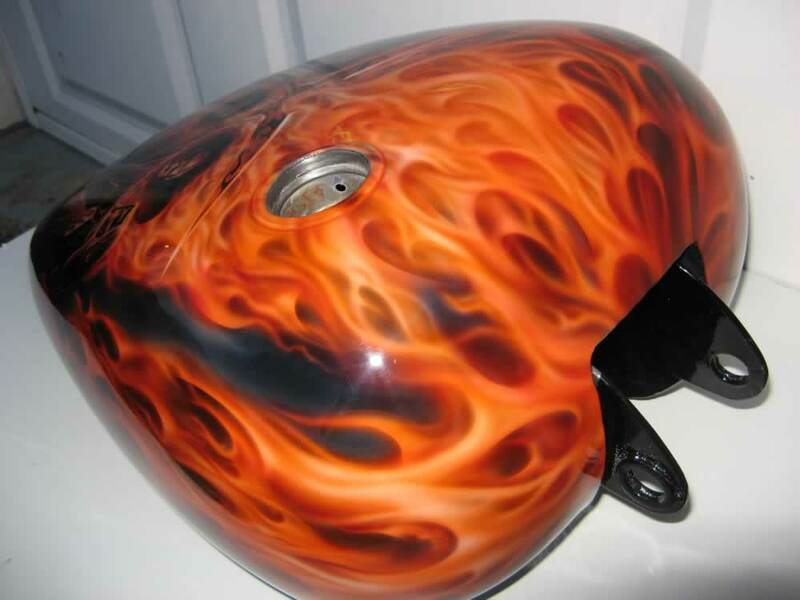 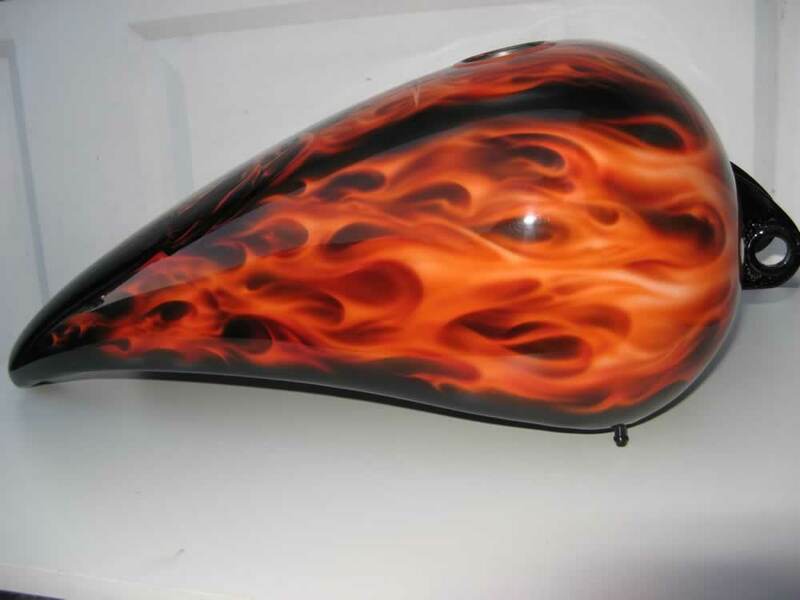 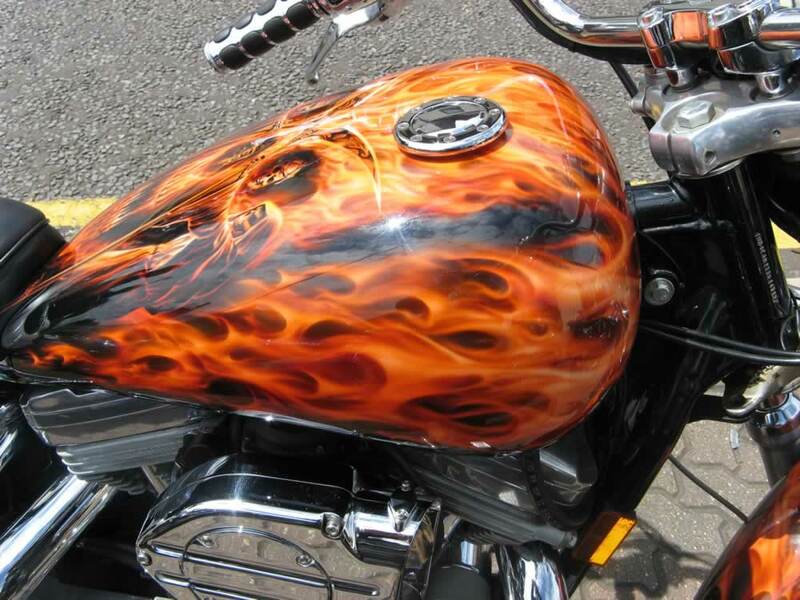 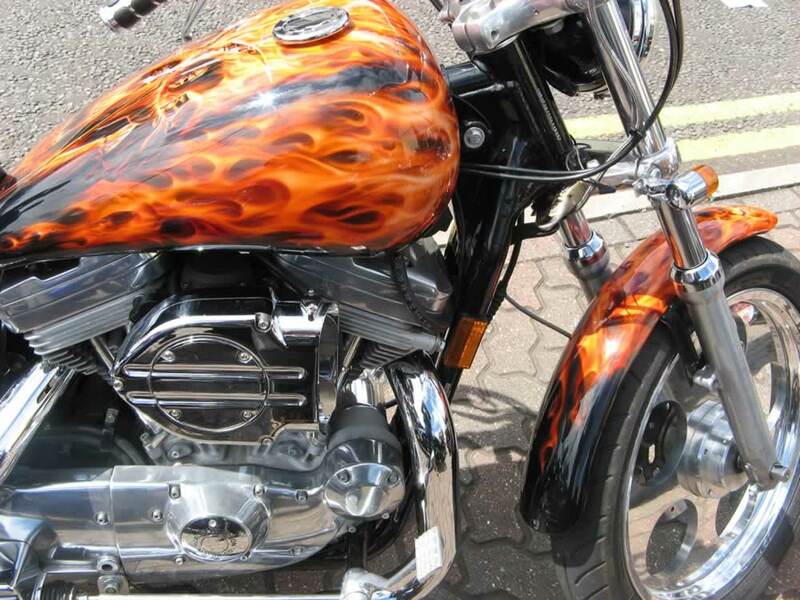 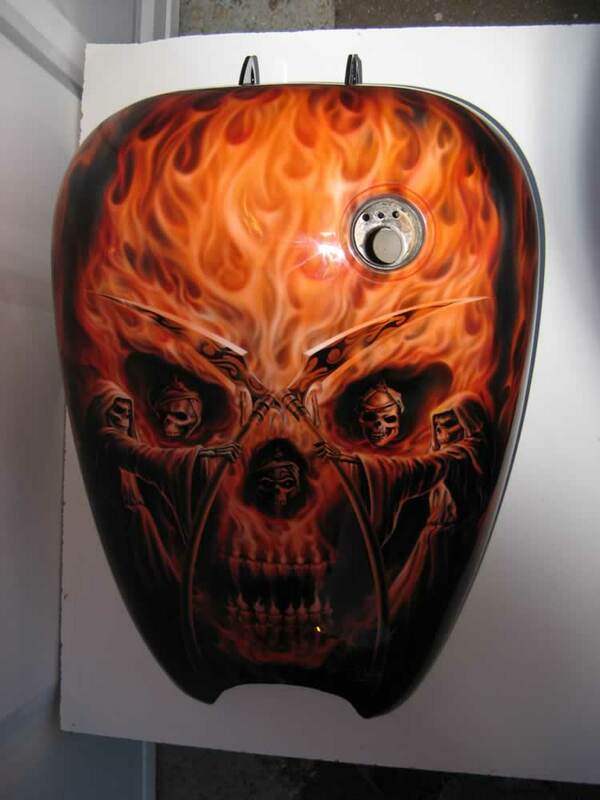 This design weaves a wild freehand flame design across the tank and mudguards, with the jaunty addition of Grim Reapers interlocking their scythes, together with a few floating, burning skulls, to produce another…skull! 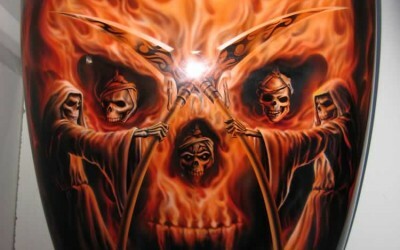 Who would have thought it?